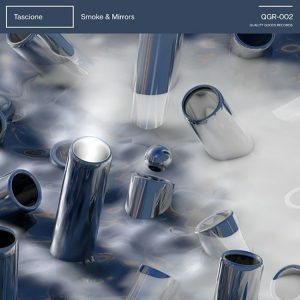 Out now and brimming with class is the “Smoke & Mirrors” EP, a fully formed four-track EP from New Jersey hailing producer Tascione. The up and coming artist has been snapped up by UZ and his Quality Goods Records for the release, ensuring that his sounds are projected to a wide enough audience. “Smoke & Mirrors” opens “Paranoia” ft. Kompany – murky and dripping in atmospheric tension before going into the title track, a deep and rolling number. It then descends into “Lights Out”, with a stuttering bassline and dance-floor energy, before finishing with “Enigma” which packs in reverb, snatches of vocals and syncopated, jagged riffs. Grab “Smoke & Mirrors” here.